Kenya is in a historic drought. Many continue to lose crops and animals due to the poor rainfall. 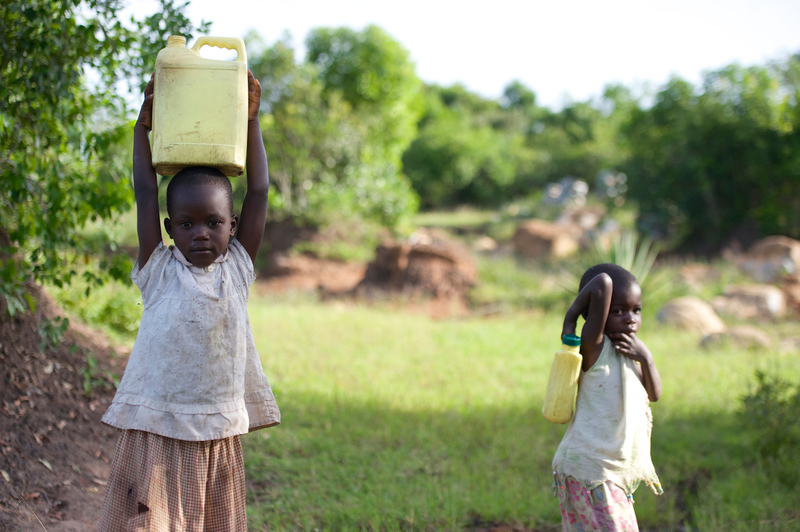 In Alendu, some families pay 50 shillings for 10 gallons of water. People with motorbikes ride to a water source, retrieve water, and bring it back to sell door to door. The water they sell for such a high rate is brown and muddy, but people rely on it. To Americans, it might seem a simple thing to say, “Then we must drill them a well for clean water!” And that well is currently being prepared. But this decision was far from simple, and it continues to face challenges. Community buy-in is critical because without it, the well will not succeed, despite the need for clean water. Often in the community, people have misconceptions that as a non-profit, Rafiki Africa should be giving the community water for free. In these community meetings, Dorothy and Roger re-affirm Rafiki’s place as a community supporter, not a charity for the village to become dependent upon. Instead, Rafiki Africa will issue membership cards for the water supply. The well will have six water access points: four will be accessible by community members who use membership cards to purchase water for about two to five shillings per ten gallons. This water is chlorinated and filtered, and the shillings will go to maintaining the well and water system. Still, a two hour meeting became a five hour discussion. But, when Dorothy recounts the challenges of the community meetings, she also talks about the students’ involvement. In their involvement, she can see the future of the village becoming stronger. A few students attended the meetings to learn how their community were talking about this major issue. Then, they brought the conversation back to the school for their classmates to discuss. Drought is a big problem in their little community, and they want to figure out how they – the students -can let the world know what is happening in their village. Community leaders and teachers also encourage students to bring the conversation to their homes. We already see evidence of this happening: a principal from another school came to talk to Dorothy about it. He heard about the program through his cousin’s son – a student at LightHouse Academy. This principal’s school cannot hold classes in the afternoon as students need to travel to a water source and retrieve cooking water for the next day. This conversation, this discussion about community problems as a school group, is one of the greatest byproducts of building a well. The LightHouse Academy and Rafiki Africa’s mission is rooted in investing in the students, including teaching them how to think about, discuss, and make decisions about challenges that face their communities. They are the community’s future. They will make these kinds of decisions for their community in the future. Water Mission International anticipates it will take two months for the community to understand the sustainable water and well model. We pray that it won’t take as long. We also pray that we can raise the final $16,000 that is still needed for the well. If you are interested in investing in this clean water and community project, please visit our water page. UPDATE: The well is funded, however do feel free to donate toward clean water in Alendu. Maintenance and training locals are still program costs.